Mormon Wookiee: #44: FamilySearch Indexing now has an iPhone app! Booyah! 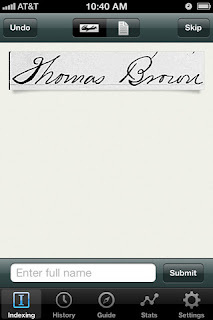 #44: FamilySearch Indexing now has an iPhone app! Booyah! As I was leaving Church this afternoon, my bishop pulled out his iPhone and showed me the brand new (and totally free) FamilySearch Indexing app. I have been waiting for the Church to release an app version of the Indexing program ever since I got my iPhone, and it is finally here! For those of you who are unfamiliar with FamilySearch Indexing, let me give you a little background. Genealogy (not geology) is a huge part of the Church's history and beliefs. Since the mid-1800s, the Church has made an ambitious effort to collect and categorize billions (with a b) of genealogical records from around the world. These records are available for anyone to view in the form of microfilm (little plastic rolls of images that can be magnified on a screen). 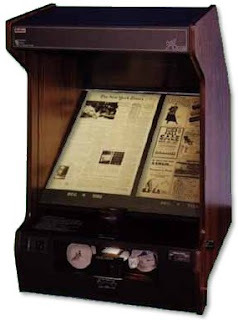 However, there are a couple of problems with trying to research microfilm records: (1) you have to get a copy of the actual microfilm and use a microfilm reader, and (2) even when you have the film, you need to manually search through the microfilm for any records that may pertain to you. Searching through microfilm can be a painstaking (I like that word) and time-consuming process. Fortunately, that is where FamilySearch Indexing comes in! Microfilm readers: all the rage in 1933. In 2006 the Church started an ambitious project to make its billions of ancestral records available to search online for free. However, it is not just the image of the records themselves that are available. Even more importantly, the records are actually SEARCHABLE by typing in a name that you may be looking for. Let me try to explain how hugely significant that is. In the past, if you wanted to find a name, you would have to find a microfilm containing images from the geographical area and time period that you were researching. You would then have to search through each page of the microfilm in hopes of randomly stumbling across the name you were looking for. Well, now, due to the Indexing program, you can hop online to FamilySearch and simply type in the name you are looking for (if the name has already been "indexed") and the record will appear on your screen. This could literally save you hundreds of hours of researching for a name of one of your ancestors. For the past six years, hundreds of thousands of volunteers (both Mormon and non-Mormon alike) have been going through the Church's genealogical records and "indexing" the names from the records. 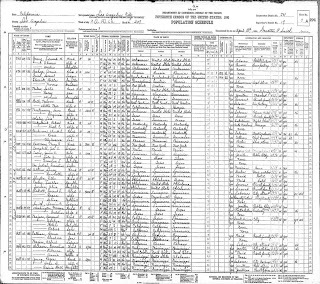 "Indexing" is very simple: you download a screenshot of records (for example, one page of the 1930 U.S. Federal Census) through the Indexing software. Then, on a line-by-line basis, you "index" the names, ages, occupations, birth counties, etc. for each of the individuals on the page. Once you have completed the page, you submit it to be reviewed by an experienced indexer (called an "arbitrator", which coincidentally sounds like a type of vehicle that Luke Skywalker would fly). 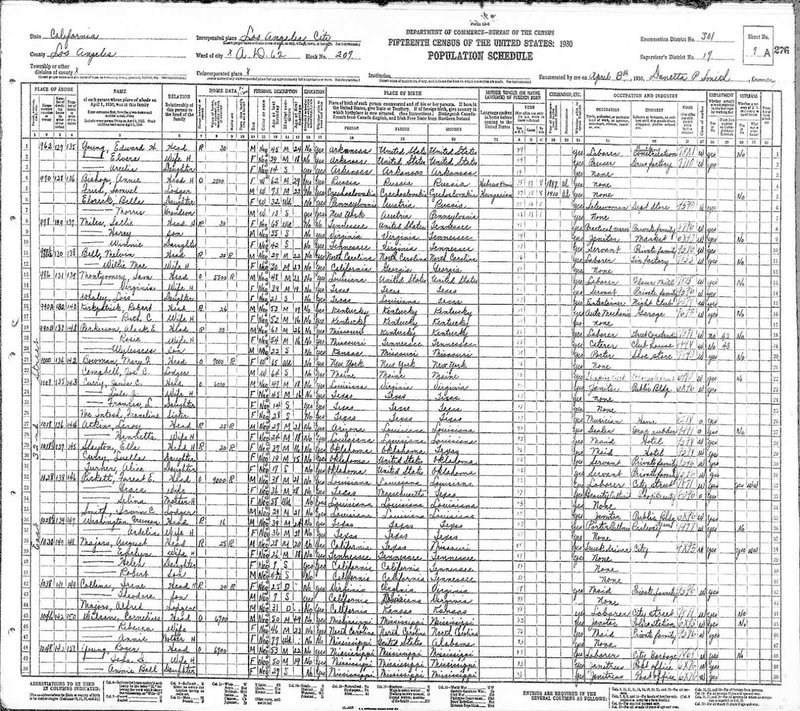 Indexing page example from the 1930s U.S. Federal Census. Since 2006 indexing volunteers have indexed more than 2.5 billion names, but there are still billions and billions more records to go. My local Church stake (a "stake" is a group of about 10 neighborhood congregations called "wards") of approximately 3,000 people has a goal for 2012 to index 2 million names! That is a crazy huge number for one stake, but we know it is possible. Last year we had a stake goal to index 750,000 names and we ended up indexing about 900,000. Anyone can sign up to be an indexer at the FamilySearch Indexing Volunteer website. You can index as much or as little as you would like, and there is no pressure to index more than you feel comfortable doing. Personally, I love indexing because it makes me feel like I am contributing to a good cause, even if I can only do it for 15 minutes at a time. And NOW as of two days ago, there is a brand-new Indexing iPhone app! The great part about the app is that you can do one name anywhere anytime. Let's say you are in the Walmart checkout line on a Saturday night. You are at least five people back in line and the lady in front of you has 45 cans of vegetables that need to be individually scanned. So, you decide to pull out your iPhone to kill some time. Instead of playing Angry Birds, checking Facebook, or reading the Huffington Post while you wait, you could choose to index a name or two. Time will fly by, you will be a better person for your unselfish contribution of your time, and you'll be next in line at the register before you know it. Check out the app and give it a try--you won't regret it! Indexing record for Thomas Brown. Wow! That sounds perfect! As a mother of small children I am not usually able to sit down at a computer and spend time doing something. And when I do have that time it is usually spent working the budget/paying bills, or preserving our own family history (through our family blog/scrapbook). But I can usually pull my phone out for 10-15 minutes. I have wanted to start indexing names. This sounds great! Thanks for letting us know about it! Thanks Becca! I've been playing around with the app this evening. It is so cool to be able to just do a few names at once. I love the Church's genealogy efforts! I've done some of the indexing which in and of itself is fascinating. Don't have an iphone so apps are not applicable to me, but it's nice to know the church is making so much available in so many ways. It tells me this app isn't available in the US. Why would that be? That's odd. I have it on my iPhone.